... a sanctuary on a hill! Woodridge Forest 11 provides quiet accommodation for rest and relaxation whilst affording you the opportunity to explore the KZN Midlands at your leisure. The house is situated on top of a hill overlooking the Woodridge Nature Reserve where the only traffic is the train at the bottom of the valley! 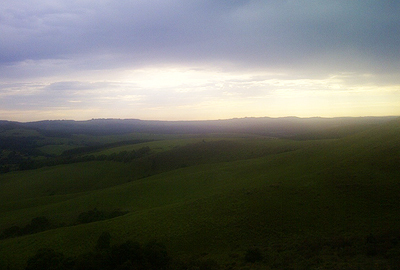 Stay overnight and wake up in the morning to unspoilt sunrises. Relax on the patio watching zebra & grazing in the reserve. Languish in a big bubble bath in total tranquillity. Our accommodation is only 15 minutes from Nottingham Road and a similar distance from Piggly Wiggly; 20 minutes from Howick and 45 minutes from Pietermaritzburg. Woodridge Forest 11 is peaceful, but close enough to civilization should the urge to splurge arise! In the heart of the Midlands Meander with lots to do and more to explore. Luxurious bedrooms with all the comfort you will expect from an elegant mountain view at affordable rates. 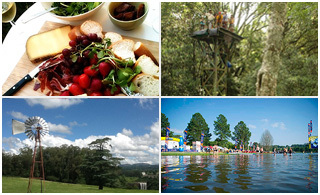 Learn More Great places to go and things to do at Woodridge Forest 11! Tranquility is the best medicine for a tired soul.